Thanks to information from a MA Tramway report provided by Kevin Thomas, NELSAP first heard about this area located on Petersham Road in Hardwick. From the slope you can see the Quabbin Reservoir. Here's the terraserver image of the area. 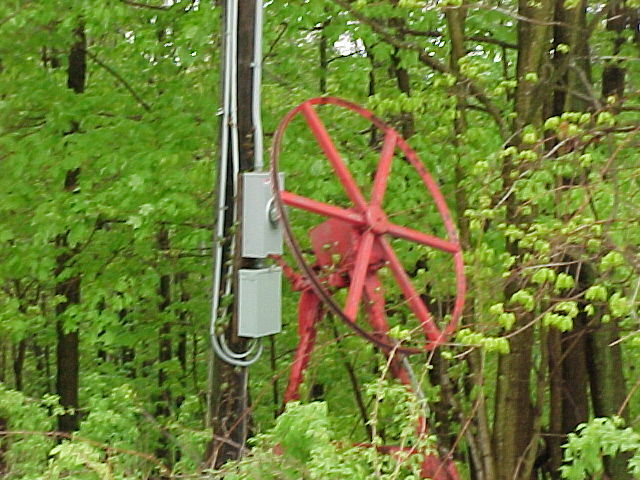 The liftline is in red. "I taught at Eagle Hill in the early 80's. 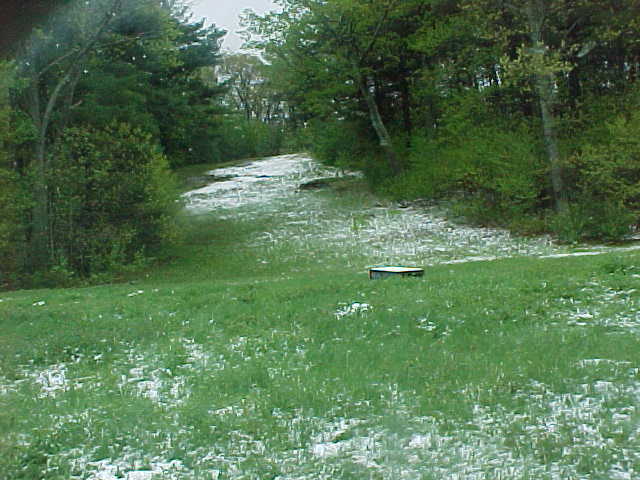 The slope was in operation when we had enough natural snow, as it did not have snow making capabilities. As a staff member, I do not remember it being open very much at all. During the week we often took students to Pine Ridge in Barre as it was bigger and had snowmaking. On the weekends we went up north frequently, usually to Okemo. By this time most of the action on this slope was sledding and/or tobogganing. When I left Eagle Hill in the fall of 1984, some students and staff were clearing the slope to prepare it for skiing the next winter. It was not open to the public, it was only for students and staff of the school. It had a rope tow, no snow making and no grooming. I never skied it, I always volunteered to take the trips. I don't think the lift was much more than 500 feet long. This was not an upside-down area as indicated on the site. Eagle Hill has undergone considerable construction over the past few years. It is quite possible that a building is now on that sight." 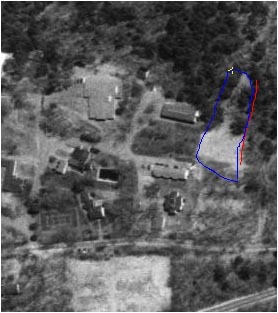 On May 18, 2002, Laurie P. visited Eagle Hill School and took pictures of the slope as it is today. Surprisingly, not much has changed. While there has been considerable construction on the school's campus, the ski slope has remained untouched. 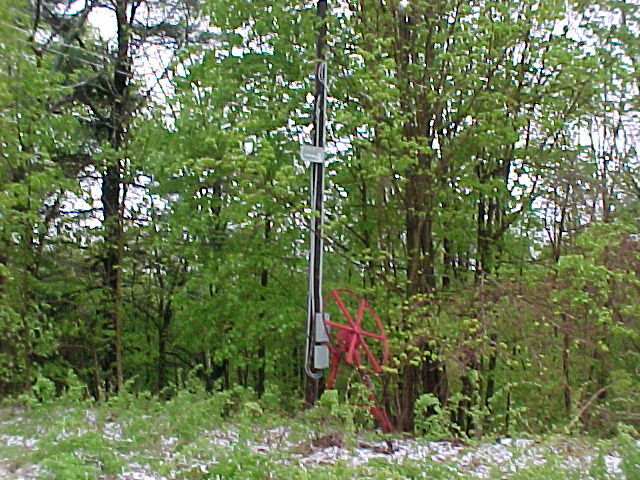 The lift is still in place and the rope that was used for the tow, though broken, is still there as well. The hill is still quite clear and looks as though it may have been used by sledders and snowboarders this winter. During her visit, Laurie spoke with Michael Riendeau, an administrator at the school. He gave her permission to explore the old ski hill and take pictures. The hill was open for the 8 years I was a student at Eagle Hill, 1971 to 1979. I skied there all 8 years. The bus at the top was put there before I got there, it was used for a warming hut one year. We also started to build a hut out of stone but never got past clearing off the rock. We used a rock near what we called the White Dorm (left side of hill as you look up) as a jump. We also jumped off of a stone wall on the other side of the hill. The few races we had there went from the top and below the lift next to the red school house. The rope was a steel cable wrapped in rubber. We used to call the hill Blood Hill. It was about 500 feet long, maybe a little more. It wasn't that steep of a hill, maybe 100, or a little more vertical feet. We had a lot of fun on that little hill, but always looked forward to trips to other places. 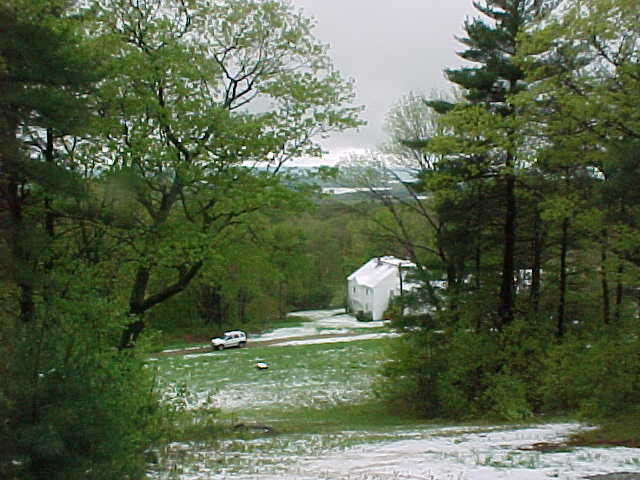 Laurie's Photo Album, with pictures taken on May 18, 2002, the date of the latest snowstorm on record!. Click on each picture for the larger version. A light through the trees. The old bus that was used as a warming hut. The bottom of the rope tow from a distance. The top of the rope tow. 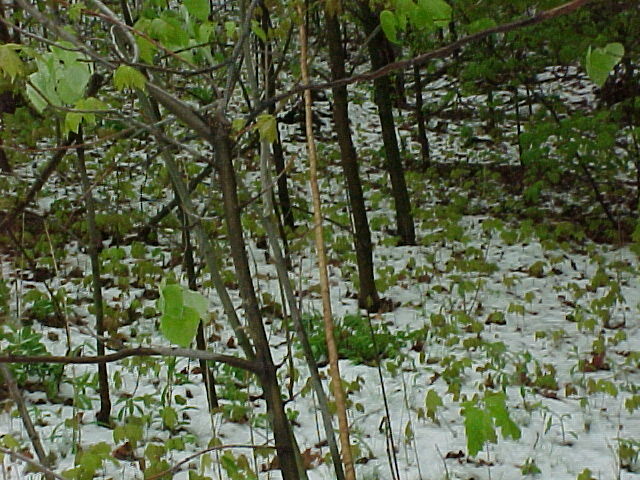 The rope hanging over brush in the woods near the top. A closer view of the bottom of the lift. Bottom of the rope and a light. Looking up from the bottom. Notice the wooden box in the middle of the hill.